You know those tedious tasks you have to do at work: Updating configuration files, copying and pasting files, updating Jira tickets. Time adds up after a while. This was very much the case when I worked for an online games company back in 2016. The job could be very rewarding at times when I had to build configurable templates for games, but about 70% of my time was spent on making copies of those templates and deploying re-skinned implementations. The definition of a reskin at the company was using the same game mechanics, screens and positioning of elements, but changing the visual aesthetics such as color and assets. So in the context of a simple game like ‘Rock Paper Scissors,’ we would create a template with basic assets like below. But when we create a reskin of this, we would use different assets and the game would still work. If you look at games like Candy Crush or Angry Birds, you’ll find that they have many varieties of the same game. Usually Halloween, Christmas or Easter releases. From a business perspective it makes perfect sense. The good thing about extracting configurable values into a JSON file is that you can modify the properties without having to recompile/build the game again. 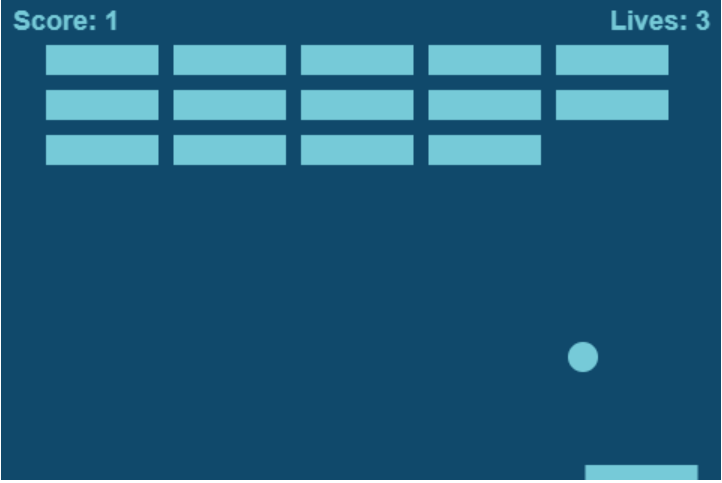 Using Node.js and the original breakout game created by Mozilla, we will make a very simple example of how you can create a configurable template, and make releases from it by using the command line. This is the game we’ll be making. Reskins of MDN Breakout, based on the existing source code. 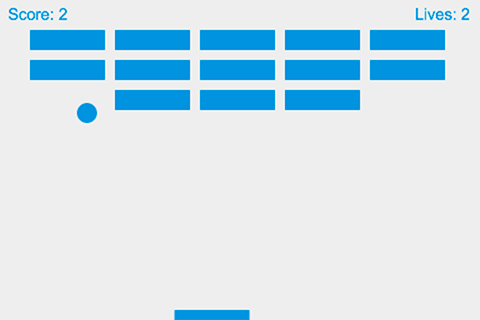 Gameplay screen from the game MDN Breakout where you can use your paddle to bounce the ball and destroy the brick field, with keeping the score and lives. The primary color will paint the text, paddle, ball and blocks, and the secondary color will paint the background. We will proceed with an example of a dark blue background and a light sky blue for the foreground objects. You have ran npm install in the root of the nobot-examples project. Finally, you run the local server by running npm run gameServe in the root of the project via a terminal. We have tweaked the original Firefox implementation so that we first read in the JSON file and then build the game using HTML Canvas. The game will read in a primary color, and a secondary color from our game.json file. We will be using example 20 from the book Automating with Node.js. The source code can be found here. Open up a new command line (CMD for Windows, Terminal for Unix-like Operating systems) and change into the following directory once you have cloned the repository locally. Remember the game server should be running in a separate terminal. Our JSON file sits beside an index.html file inside a directory called template. This is the directory that we will copy from whenever we want to do a new release/copy. Don’t look too much into the mechanics of how the game works, more so how we inject values into the game to make it configurable. The source code is using ES6 features and may not work in older browsers. Run through Babel if this is a problem for you. You can see that we are waiting for the DOM content to load, and then we are invoking a method called loadConfig. This is going to make an AJAX request to game.json, fetch our JSON values, and once it has retrieved them, it will initiate the game and assign the styles in the source code. Here is an example of the configuration setting the background color. 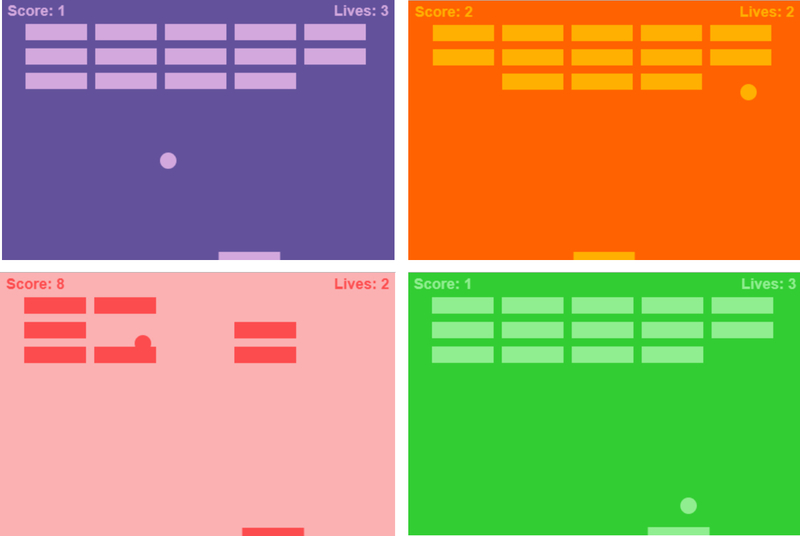 So, now that we have a template that can be configurable, we can move on to creating a Node.js script that will allow the user to either pass the name of the game and the colors as options to our new script, or will prompt the user for: the name of the game, the primary color, and then the secondary color. Our script will enforce validation to make sure that both colors are in the format of a hex code (e.g. #101b6b). The command above will build the game immediately, because it has the three values it needs to release the reskin. It will read in the options passed in the command line and store them as variables. Options can be read in by looking in the process object (process.argv). It will validate the values making sure that the game name, and the colors are not undefined. If there are any validation issues, it will prompt the user to re-enter it correctly before proceeding. Now that it has the values, it will make a copy of the template directory and place a copy of it into the releases directory and name the new directory with the name of the game we gave it. It will then read the JSON file just recently created under the releases directory and override the values with the values we passed (the colors). At the end, it will prompt the user to see if they would like to open the game in a browser. It adds some convenience, rather than us trying to remember what the URL is. Here is the full script. We will walk through it afterwards. At the top of the script, we require the packages needed to carry out the process. colors to be used to signify success or failure using green or red text. minimist to make it easier to pass arguments to our script and to parse them optionally. Pass input without being prompted to enter. path to construct paths to the template and the destination of the new game. readline-sync to prompt user for information if it’s missing. fs-extra so we can copy and paste our game template. An extension of the native fs module. opn is a library that is cross platform and will open up our game in a browser upon completion. The majority of the modules above would’ve been downloaded/installed when you ran npm install in the root of the nobot-examples repository. The rest are native to Node. We check if the game name was passed as an option through the command line, and if it hasn’t been, we prompt the user for it. // Retrieved from the command line --gameName='my-game' etc. // was the gameName passed? Because two of our values need to be hex codes, we create a function that can do the check for both colors: the primary and the secondary. If the color supplied by the user does not pass our validation, we prompt for the color until it does. // Does the color passed in meet our validation requirements? We use the function above to obtain both the primary and secondary colors. In the next block of code, we are printing to standard output (console.log) to confirm the values that will be used in the process of building the game. The statements that follow are preparing the paths to the relevant files and directories. The src will point to the template directory. The destination will point to a new directory under releases. The configuration file that will have its values updated will reside under this new game directory we are creating. And finally, to preview our new game, we construct the URL using the path to the local server we booted up earlier on. Copy the template files to the releases directory. After this is created, we read the JSON of the original template values. With the new configuration object, we override the existing primary and secondary colors provided by the user’s input. We rewrite the JSON file so it has the new values. When the JSON file has been updated, we ask the user if they would like to open the new game in a browser. If anything went wrong, we catch the error and log it out. Let’s see it in action when we don’t pass any arguments. You can see it doesn’t break, and instead prompts the user for the values it needs. My game opens on my localhost server automatically and the game commences, with the new colors. Sweet! Oh… I’ve lost a life already. Now if you navigate to the releases directory, you will see a new directory called blue-reskin This contains the values in the JSON file we entered during the script execution. Below are a few more releases I made by running the same command. You can imagine if you were releasing games that could configure different: images, sounds, labels, content and fonts, you would have a rich library of games based on the same mechanics. Even better, if the stakeholders and designers had all of this information in a Jira ticket, you could integrate the Jira API into the Node script to inject these values in without the user having to provide any input. Winning! This is one of many examples that can be found in Automating with Node.js. In this book, we will be looking at a more advanced example using “Rock Paper Scissors” as the basis of a build tool created from scratch. 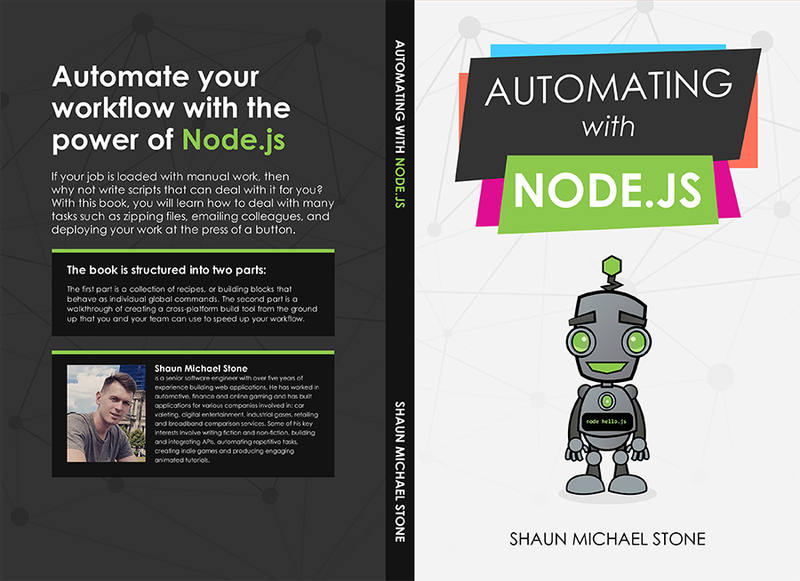 The post Automate Your Workflow with Node appeared first on CSS-Tricks.